Lansing, Mich. – It may be urban lore, but when asked for the meaning behind the name Camaro, some Chevrolet managers said it was a small, vicious animal that ate Mustangs. 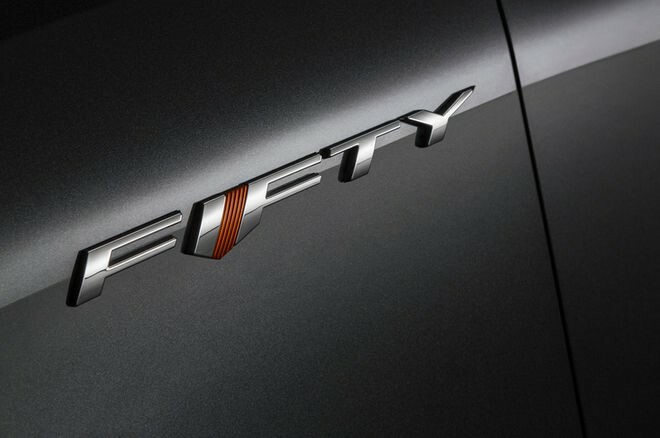 General Motors unleashed the Camaro name on the world 50 years ago this summer. That means the tiny beast has a big party in the making, and Chevy will stage anniversary celebrations in August during Detroit’s Woodward Dream Cruise, an annual rolling salute to those who love cars. The original Camaro, codenamed Panther, was designed to battle the Ford Mustang which was shown as a concept in 1962 and then introduced April 17, 1964. Mustang was the first American “pony car” and the inspiration for a small field of affordable sporty coupes with long hoods and a wide stance that grew to include the Camaro, Pontiac Firebird, AMC Javelin, Plymouth Barracuda, and Dodge Challenger. Imports such as the Toyota Celica and Ford Capri further expanded the pool. When it was time to name Chevrolet’s Mustang fighter, a project that had been codenamed Panther, GM held a playful press conference on June 28, 1966. Chevrolet General Manager Pete Estes dubbed those in attendance as charter members of the “Society for the Elimination of Panthers from the Automotive World” in their first and last meeting. Then he told the world the new car would be called the Camaro. The public got its first look at the all-new Camaro in September 1966, and the original 1967 Camaro went on sale on September 29, 1966. GM sold 220,906 in the first year. Today, it is largely a two-car battle between Mustang and Camaro, both in their sixth generation, both smaller and lighter but retaining their mission to offer affordable performance. In 2015, Mustang won the sales race handily; selling 122,349 in the U.S. compared with 77,502 Camaros, and Ford maintains its lead through May of this year with almost 53,200 sales compared with 31,865 Camaros. With anniversary celebrations in full swing, GM has provided a look at some of the activities coming up. GM will offer tours starting at 7 a.m. on August 18 of the Lansing Grand River plant, where the current Camaro is built. The 45-minute tours end at 3:30 p.m. “This is an unprecedented opportunity to get a behind-the-scenes look at building the Camaro from the ground up,” said Todd Christensen, Camaro marketing manager. There will also be a car show, displays of past Camaros and a chance to talk to Camaro team members including Chief Engineer Al Oppenheiser. Owners can vie for spots in a parking area for up to 500 Camaros and there will be on-site food and Camaro merchandise for sale. When GM resumed production of the Camaro in 2009 after a seven-year hiatus, it was built in Oshawa, Ontario. Moving it to Lansing in the fall of 2015 marked the first time the car has been built in Michigan. The all-new 2016 Camaro is smaller, lighter, and more agile and rides on a new platform. It was named Motor Trend Car of the Year in 2016. 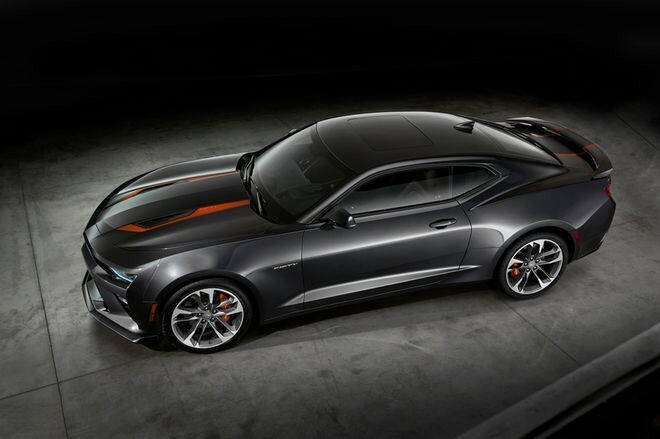 If robots are not your thing, Chevrolet will host “Camaros and Coffee” in Detroit starting at 7:30 a.m. on August 19. Everyone with a Camaro is invited to the Joe Louis Arena Riverfront parking lot where the first 500 cars will be staged and at 9:45 a.m. some 50th Anniversary edition Camaros will lead participants to Woodward Avenue to drive the Dream Cruise route. 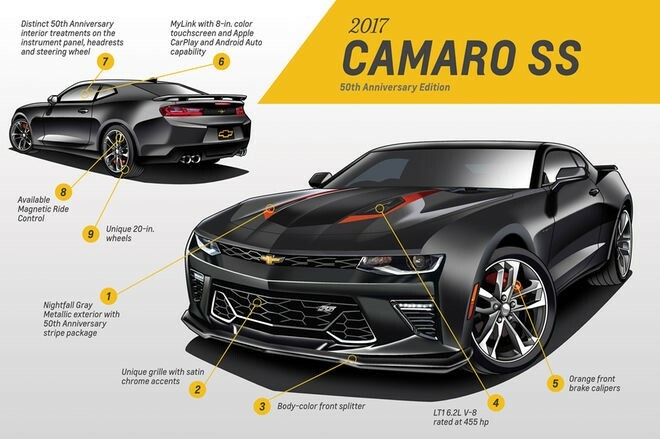 And on August 20, the official day of the Dream Cruise, there will be a Camaro heritage display at the Chevrolet site along Woodward Avenue with some rare and iconic models as well as the new 2017 Camaro ZL1 and 1LE. 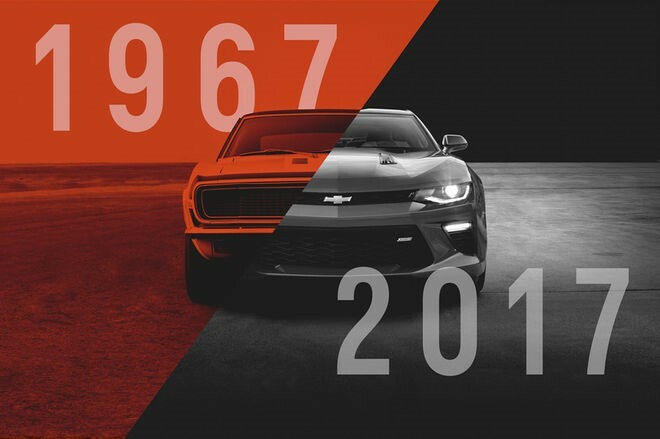 For more Camaro history with pictures and design illustrations GM has created a special media site where enthusiasts can stay on top of event plans.